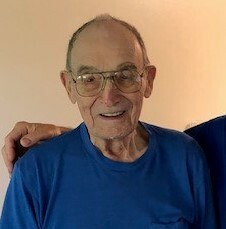 Harold J. Prihoda of Chester passed away Monday, February 4, 2019 at Liberty Medical Center. Harold was born in Pine City, MN. to Joseph and Iva Prihoda on Feb 21, 1924. He lived with his parents, three brothers and two sisters. He completed 8th grade. Harold served in the WW II in Japan, after his service he moved to Chester, Montana where he met his little sweetie Lottie Rehal where they lived together and build a loving life together for over 40 years until her passing. Harold and Lottie loved to go fishing at Tiber Dam and traveled back and forth to Minnesota to visit Harold's family. Harold enjoyed fishing, going to the casino with Lottie and spending time with his friends and family. In his final years he enjoyed hunting for gold. He will be missed greatly. A spring or summer graveside service will take place and be announced at a later date.